5 Essential Applications For Linux. In this guide, we will continue with the Fedora theme and show you how to install 5 more essential applications. Everybody who uses a computer will come up with their own definition of what is essential to them. It is worth noting that we have already dealt with running Flash, GStreamer Non Free codecs and Steam within Fedora in a previous article. There are of course other applications that people will feel are essential to their needs but trying to fit 1400 essential applications into a single article is preposterous. Many other guides show how to install packages such as these use command line tools such as Yum but we prefer to show the easiest methods by using graphical tools where possible. Chrome is currently the world's most popular web browser based on usage statistics on various platforms. Other sources quote Internet Explorer as being the most popular but realistically those are outdated and you wouldn't use Internet Explorer with Linux. Most Linux distributions ship with Firefox as the default browser and Fedora Linux is no exception. Installing Google's Chrome browser is relatively straight forward. First of all, visit google.com/chrome/ and click the "Download Chrome" button. When the download options appear, choose either the 32-bit or 64-bit option. (choose the one that is appropriate for your computer). An "open with" window will appear. Choose "Software Install". Install Google Chrome Using Fedora. When the software installer appears click the "Install" button. It takes a little while to download and install Google Chrome but when it has finished you can bring up the applications window (using "Super" and "A") and search for Chrome. If you would like to add Chrome to the Favourites bar right-click the Chrome icon and choose "Add To Favourites". You can drag the icons around in the favorite list to change their positions. To remove Firefox from the favorites list, right-click on the Firefox icon and select "Remove From Favorites". Some people prefer to use the Chromium browser over Google's Chrome but according to the Fedora project, there are significant issues. The Java Runtime Environment (JRE) is required for running certain applications, including Minecraft. There are two ways to install Java. The easiest is to choose the Open JDK package which is available from the GNOME Packager ("Software" from the applications menu). Open the GNOME Packager and search for Java. From the list of available items choose the OpenJDK 8 Policy Tool, otherwise known as the Open JDK runtime environment. There may be a newer version of Java available by the time you read this. Go ahead and install that one, instead. Oracle Java Runtime In Fedora. Install the official Oracle Java Runtime Environment. Click the "Download" button under the JRE heading. 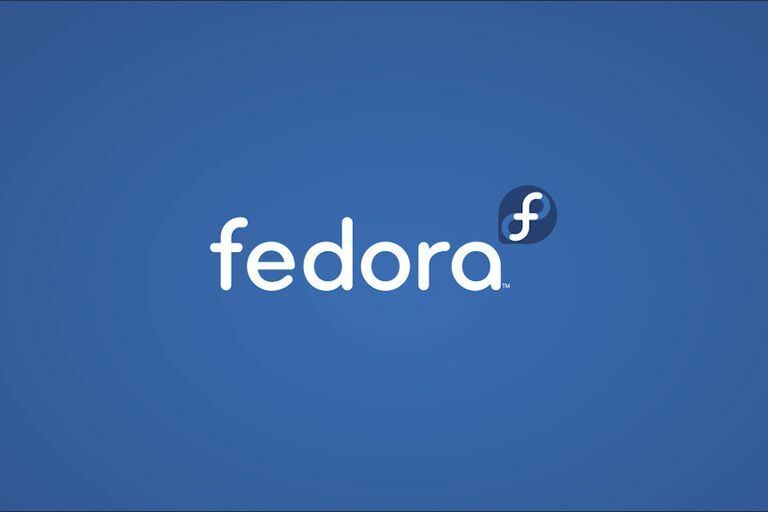 Accept the license agreement and then download the RPM package for Fedora. When asked, open the package with "Software Install". When the GNOME Packager application appears click the "Install" button. So which should you use, the Oracle JRE or the OpenJDK package? We would go for the Open JDK. It has never let us down thus far. Skype enables you to talk to people using text, voice and video calling. Simply sign up for an account and you can chat with friends, family and colleagues..
Why use Skype over similar tools? We have been on a number of job interviews where we are too far away to be interviewed face to face and Skype seems to be the tool many businesses like to use as a way of interviewing people over long distances. It is universal across multiple operating systems. The main alternative to Skype is Google Hangouts. Before you download the Skype package open up the GNOME Packager. (Press "Super" and "A" and search for "Software"). Enter "Yum Extender" and install the package. The "Yum Extender" is a graphical user interface for the command line "Yum" package manager and is more verbose than the GNOME Packager and is better at resolving dependencies. Skype isn't available within the Fedora repositories so you have to download it from the Skype webpage. From the dropdown list choose "Linux RBM". When the "open with" dialog appears choose "Yum Extender". Click the "Apply" button to install Skype and all dependencies. It takes a while for all of the packages to download and install but when the process is complete you will be able to run Skype. There are potentially sound issues with Skype within Fedora as shown by this webpage. You might need to install Pulseaudio to resolve these issues. Incidentally, if you add the RPMFusion repositories then you can also install Skype by installing the lpf-skype package using Yum Extender. Dropbox provides storage space for backing up your documents, photos, videos, and other files. It can also be used as a way to enable collaboration between you, your colleagues and/or friends. To install Dropbox in Fedora you have two choices. You can either enable the RPMFusion repositories and search for Dropbox within Yum Extender or you can do it in the following way. Visit the Dropbox website and click either the 64-bit or 32-bit version of Dropbox for Fedora. When the "open with" option appears, choose "Software Install". When the GNOME Packager appears, click "Install". Open "Dropbox" by pressing the "Super" and "A" keys at the same time and search for "Dropbox". When you click the "Dropbox" icon the first time it will download the main "Dropbox" package. After the download has finished you will be asked to either login or create an account. If you are an existing Dropbox user enter your credentials, otherwise create an account. It is free up to 2 Gigabytes. We like Dropbox because it is available for Windows, Linux and on our Android devices meaning that we can access it from anywhere and on many different devices. To install Minecraft you will need to have installed Java. The Minecraft website recommends using the Oracle JRE but we recommend using the OpenJDK package. Visit https://minecraft.net/download and click the "Minecraft.jar" file. Open up the file manager (Press the "Super" key and click the icon that looks like a filing cabinet) and create a new folder called Minecraft (Click on the home folder within the file manager, within the main pane and choose new folder, enter "Minecraft") and copy the Minecraft.jar file from the Downloads folder to the Minecraft folder. Open a terminal and navigate to the Minecraft folder. The Minecraft client should load and you will be able to play the game. There are of course many applications which we deem essential and it really depends on the user as to what matters and what doesn't. Some of the solutions aren't perfect. Ideally, you wouldn't have to run Minecraft from the terminal and Skype would provide a 64-bit download option. We believe the methods listed here provide the easiest solutions in order to install and run the applications.